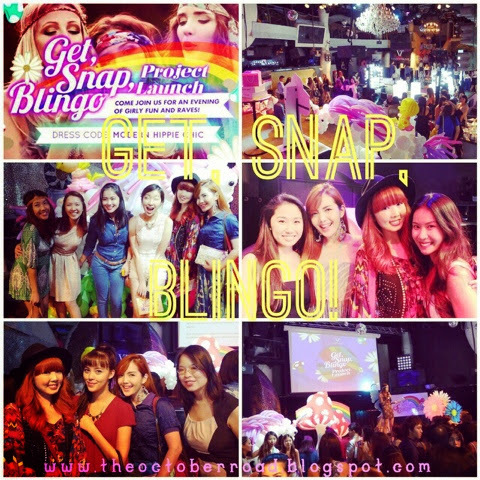 Went to the Get, Snap, Blingo! Project Launch on 5th March. I was pleasantly surprised when I received an invitation to a beauty event since I usually blog more about my outfits and gastronomy escapades. First thought that came to my mind? 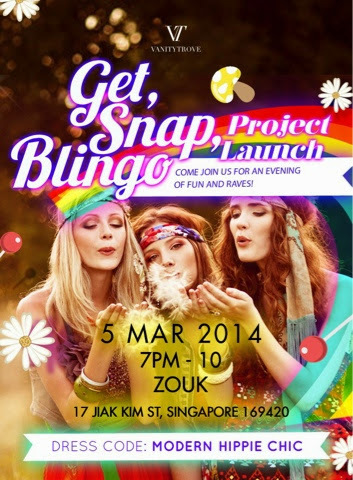 How fun it'll be to dress to the theme and it will also be so cool to see many fashionistas all decked in boho chic! Take a look at the very colourful invitation poster! 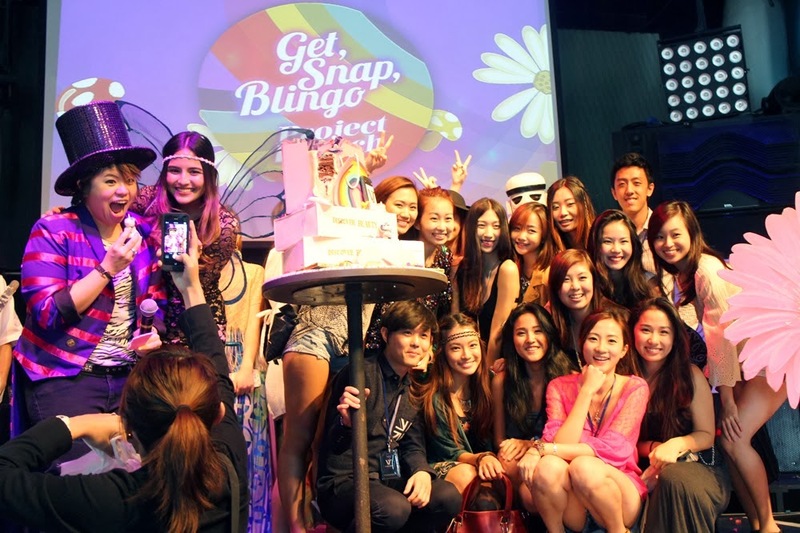 Wow, the dance floor at Zouk transformed into a beauty haven! one of the first people I met at the event or rather while walking to the event! The DIY gelish station by The Pink Room! All entries entitled us to a drink so we took a break from all the activities to grab a drink. In case some of you are wondering am I drinking alcohol? Anyway, while taking a breather, we spotted Rachel Kum, the founder of Rachel K Cosmetics and skincare line! I love her line of cosmetics and skin care especially the "See The Difference" serum! But then again, I can't expect much from a dimly lit location! This is already the brighter shot of the two I got. Maybe I should consider getting a new point and shoot semi-pro? She's really tall and slim in person and not forgetting gorgeous and friendly too! I edited the exposure of the picture but the pic is still super grainy! The emcee getting ready with Mr Bunny to announce the winners of the GSB challenge! 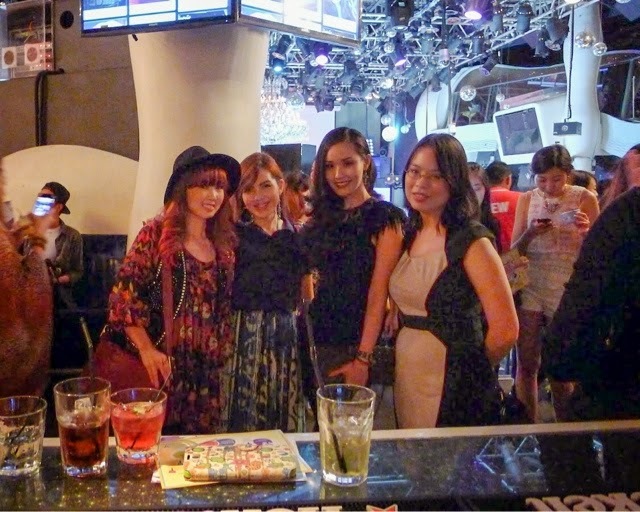 With lovely Melissa, Jerlene & Yina! Don't you just love her headband? With the smokin' hot Kathleen Kong! Believe it or not, we met cos I was in love with her blouse and asked for this photo! Group shot but you can't see me cos I'm too short! Outfit Planning for the event! Decided to go with this colourful babushka doll printed chiffon mini dress layered with a studded black vest, both I've had for years hahaha! Ahhh...treasures you've long forgotten about till you go on a treasure hunt through your closet! 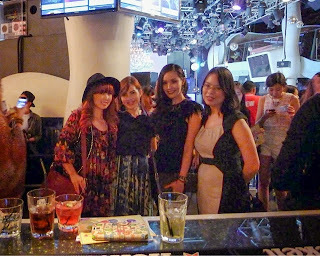 Completed my look with opaque tights from Topshop, felt fedora from Rubi, Coach Sling bag and Jefferey Campbell inspired Litas! By "good outfit shots" I mean with acceptable lighting, I look proportionate and visible outfit details. Here's a peek at what's inside the goodie bag from the event! Thank you VanityTrove for the generous goodies and the opportunity to meet and mingle with all the lovely ladies from the VT family!